"Gretta did a great job selling my house. She knew what to do and I would recommend her to anyone in a hurry to sell." 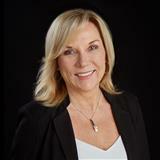 "It is so refreshing conducting business with someone like Gretta who truly cares, and I would highly recommend her to any family member or friend who needs to buy or sell a home. Gretta is highly trained professional... it is obvious that she comes to work each and everyday with that "Whatever it takes" kind of attitude that proves itself worthy in your favor. "Gretta's Real Estate knowledge was extremely helpful in all aspects of selling our house. From the pre-sale preparactions, selecting the appropriate offer, post-sale follow through, to being there to answer all of our questions: all of this contributed to our house selling as fast as it did. She is a sweet and thoughtful person that even our kids looked forward to seeing! We really appreciate all that she helped us to accomplish." 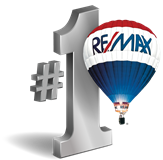 "Gretta is the third agent that we hired to sell our house under difficult market conditions. Gretta made a difference by getting the job done, with constant updated information, and mostly, with satisfaction!" "We couldn't have done it without you. Thanks for the outstanding job selling Mom's house!" "Gretta and her team of experts took on the task of selling our house in Long Beach, CA during a very tough downturn in the industry, but managed to sell our house within 36 days. Kudos to Gretta and her team! We (my wife and I ) highly recommend them if you are planning to sell your house anytime soon." "Gretta was a pleasure to work with. She gave us helpful information and ideas to make the sale of our home, smooth, quick and hassle free. She and her team were always available and kept us updated. we would highly recommend her if you are at all interested in selling or buying property." "Gretta was very efficient. Throughout the process of selling my home, Gretta consistently kept me up to date on the pertinent information, regarding the sale. I sold my house for the asking price in 15 days! Thank you Gretta." "Listing my father's house was a very easy process, working with Gretta. The home was listed and sold within 30 days,even in a very tough market. Gretta was wonderful to work with, communicate with, and she followed through with every detail. Would definitely recommend Gretta as a listing agent! Thank you Gretta"